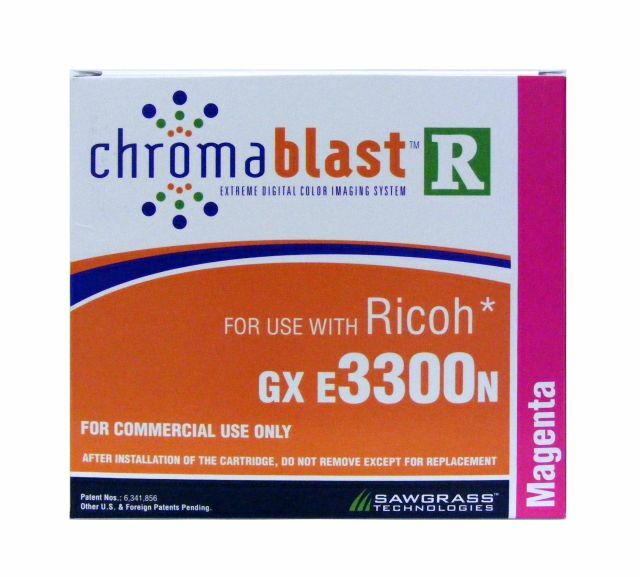 ChromaBlast-R is a specially formulated cotton transfer ink for the Ricoh platform that makes a great alternative to expensive direct-to-garment printers. Standard size ink cartridges provide extended uninterrupted printing without the need for a separate bulk ink system. 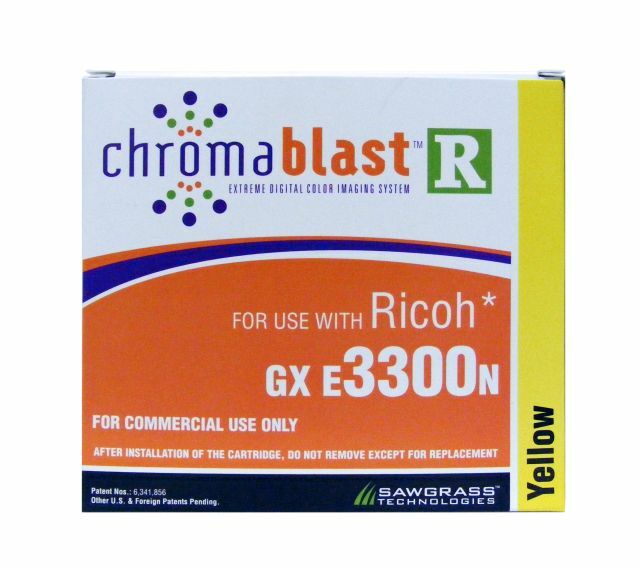 Ink Volume = 29ml each C,M,Y,K - Extended size cartridges are available for the GXe7700n.